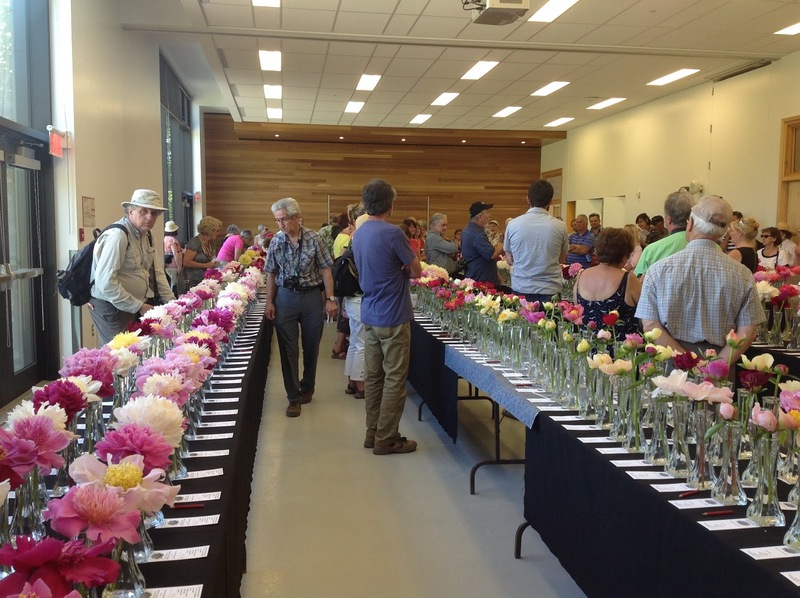 I finally have some time to give you news about The Festival quebecois de la pivoine (peony show) that was held on June 20th and 21st at Jardin Daniel A. Séguin in St-Hyacinthe. First, I must thank David Maltby for the precious help he gave us during 3 days. 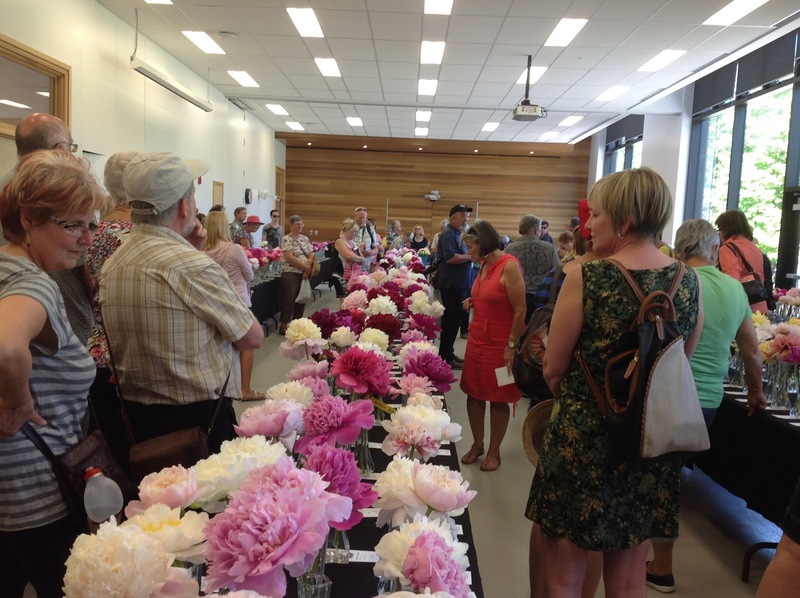 When we came to the peony show in Ottawa, David told us he would come to our Festival de la pivoine in St-Hyacinthe. We thought he would come as an observer but we were wrong. From Friday to Sunday afternoon David worked with us and was most helpful with all his knowledge and experience. Thank you very much David. This seventh show for the Societe quebecoise de la pivoine was a success. 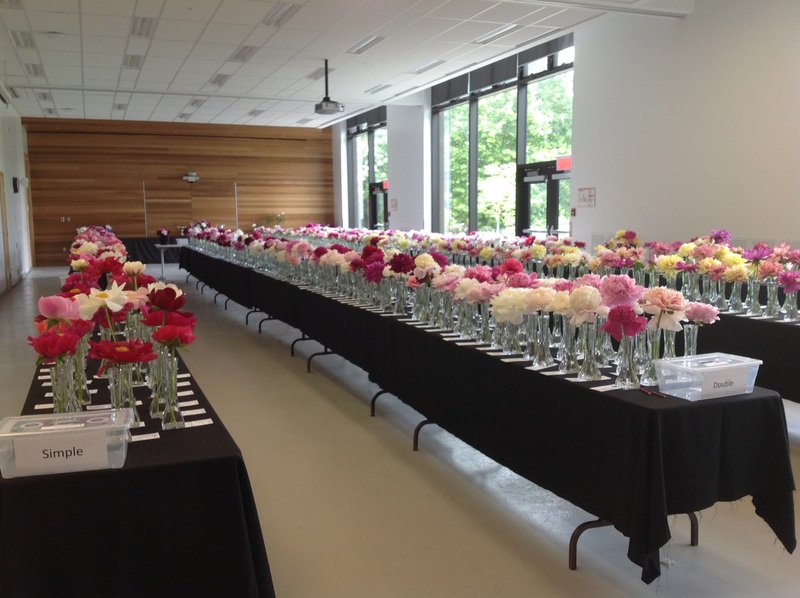 We had a record number of entries : 920 flowers competing in 9 categories for professionnals and amateurs. 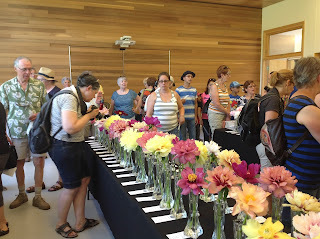 We had quite a big crowd on Saturday but less visitors on Sunday maybe because it was Father's Day and it was supposed to rain. What's important is that people were pleased and surprised. As usual, people were amazed to see such beautiful flowers and didn't know there were so many different kinds of peonies. For many of them, it was a discovery. At our show, people vote for the best flower in each category and they also vote for the best flower of show what we call "coup de coeur". 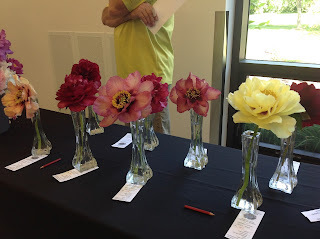 The best of show was the tree peony Gauguin presented by Lucie Pepin. There is also a trophy for the professional and the amateur who got the biggest number of winning flowers. Serge Fafard of Jardins Osiris was the professional with the most winning flowers and Lucie Pepin was the amateur with the most winning flowers. It's the third time that Lucie is "grande gagnante" (big winner).